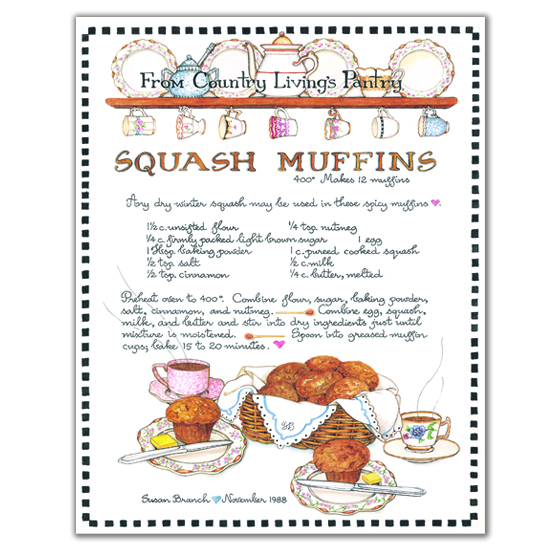 Years ago I was lucky to get to illustrate recipes for Country Living Magazine. I often get requests for these recipes so I thought we would offer some of them here on my website. I call them “Kitchen Art” since that’s where we figured most of them will go, on the walls of your kitchen!Printed on acid and lignon-free cardstock. Prints are 8” x "10".